By now you know that — technical details aside — SEO is not separate from content marketing; it’s an integrated aspect of content marketing. Optimizing your content for search engines is part of your craft and a skill you can strengthen with practice. To avoid a quick bounce, you need to focus on content optimization. Since you don’t want to miss any opportunities to connect with your site visitors, study this list of five common mistakes — and how to fix them. A row of four new houses that all look basically the same were just built on the street where I live. When a real estate agent starts taking potential buyers on tours of the houses, do you know what’s going to happen? The potential buyers are going to examine the properties and make judgments about the differences they notice. A woman is going to dislike the filigree on one of the front gates and select the house with the simple brown gate and extra large balconies. A man is going to love the house with the filigree on the front gate. Another woman is going to hate the house with the extra large balconies and prefer the house with additional living room space. While these houses appear roughly similar from the outside, visitors quickly assess which property is right for them based on their personal preferences. The same thing happens when people search for information about a topic. The websites that appear at the top of search results for a keyword phrase might all look the same at first, so visitors will quickly inspect your content to see if it contains the qualities that are right for them. If your special qualities (your proverbial front gate with filigree, large balcony, or spacious living room) aren’t clear, you won’t convince the people you want to attract that you can satisfy their preferences. When you stop trying to attract everyone, it’s easier to attract those who recognize and appreciate your unique selling proposition (USP). You’re right for some visitors and your competitors may be right for others. That’s okay. The quickest way to a quick bounce is a generic headline that could appear on any other website in your niche. Typically, these weak headlines fail to offer a benefit, or the benefit could be so vague that it fails to capture the attention of the people who you actually created the content for. They could also be boring. If you immediately communicate details about why your content is helpful, you’ll grab the attention of people who need that kind of help. Aim to infuse your headlines with the essence of your USP and show your site visitors that you’re a match for them — faster. Plenty of websites have success publishing first-draft content. If rough drafts form a bond with the people you aim to serve … cool. But if your content isn’t striking a chord with the people you want to attract and develop relationships with, you may need to push yourself further. Rough drafts often fail to effectively convey your messages. They may contain too much information or tangents that distract busy readers and make your content less useful. Editing is about creating a content experience. Rather than expressing raw thoughts, you craft a thoughtful presentation that helps solve a problem. When you click on the link above, you’ll learn how to think like an editor. When visitors feel you offer them something they can’t find on other websites, they want to hear more from you and stay connected. If you don’t anticipate a reader’s desire to learn more, he might bounce to other sites to see if they offer more resources. Ideally, you want to have so much great content that when visitors land on your site they’re frustrated that they don’t have enough time to consume it all in one sitting. Do they sign up for your email list so they don’t miss any new content? Make signing up for your email list a no-brainer by providing an incentive that is a perfect match for their needs. Your email list could also offer exclusive content the public doesn’t see. Visitors will feel like they hit the jackpot that day on their journey. Information is … information. It doesn’t spark the buying process. If you don’t give visitors a taste of what it’s like to do business with you, you won’t convert prospects to customers. When you convince your website visitors to keep up with everything you publish, you’re able to build the relationships that will build your business. And the right balance of content and copy helps your prospects imagine what it’s like to buy from you. Demonstrate why your product or service will give them the transformation they desire. Assign each of the mistakes above to a day next week, Monday through Friday, and spend a couple hours each day identifying where you might make those errors and how you can fix them. By the end of the week, you’ll have a wealth of new ideas about how you can improve going forward. What’s your process for producing exceptional content that impresses your website visitors? In the comments below, let us know how you stand out. 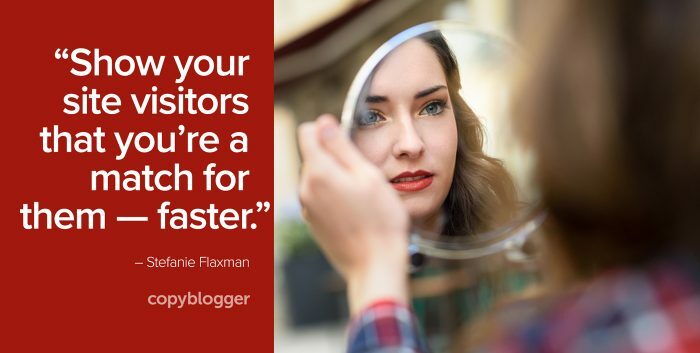 The post 5 Content Optimization Mistakes You’ll Wish You Fixed Sooner appeared first on Copyblogger. If you want to grab more useful links (than the seven we highlight here every week), follow @copyblogger on Twitter. Ms. Barone penned this list of content ideas almost two and a half years ago. It still stands both as a useful resource, and as proof of the value of publishing good teaching on a domain/site you own. There’s not many 30-month-old tweets getting passed around out there, after all. This digital life breeds a burnout of sorts, one that previous generations didn’t need to consider in the same way. Used to be, you dug a ditch, plowed the field, hunted the food, or fixed the roof all day, and you were tired. You went to bed. Even intellectual workers of another age didn’t face the onslaught of information that we do now. And of course, we use information to create. But are you using the right kind? Ms. Milligan offers a tour of visual, textual, musical, and comical inspirations to aid in the production of your daily creative work. Pixar has told several of the most beloved stories of the last two decades. When they start handing out advice, it’d be a good idea to listen. Or read. Or … whatever. Using a ridiculously demanding help wanted ad, Ms. Jiwa perfectly illustrates the true value of the work you may already be doing as a writer online. This is a call to action for building a platform you own, and to getting on with the business of (metaphorically) killing your heroes. If this article weren’t so useful and inspiring in regards to productivity, it’d be far too depressing and hopeless to pass along to you. I’m going with the former here, and betting that Mr. Newport’s tactics (and example) can — and will — move you to action. These guys aren’t screwing around. You’ll recognize them instantly. Maybe you’ve passed them in the park, or on the way to turning on the tv, or in the flickering moment before you hit play on that YouTube video. Wherever you are, they’re in the shadows, waiting, watching, plotting the perfect opportunity. Much more than a tactical post, Mr. Godin dives deep, hacking at the root of much of our failure and fear, “Of course, they’re not marketing sins, they’re human failings.” We focus on polishing the outside of the cup, so often leaving the inside untended. About the Author: Robert Bruce is Copyblogger Media’s Chief Copywriter and Resident Recluse. Get more from Robert on Twitter and Google+. This guest blog post was written by Noah Kagan, Chief Sumo of web deals site AppSumo.com, a daily deals site for web entrepreneurs. He was formerly an early employee at both Facebook and Mint. 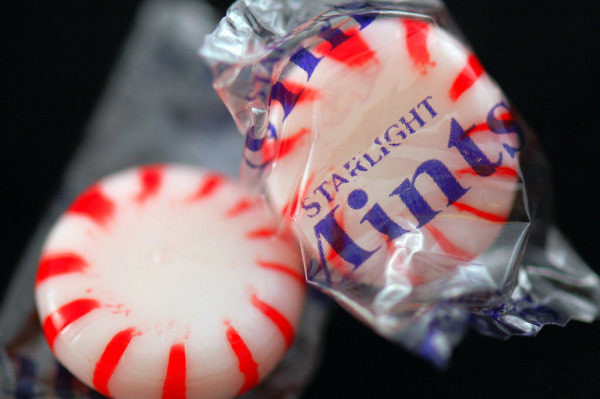 I did all of marketing at Mint until they launched and then they subsequently sold for $ 170,000,000. At that time I never had traditional marketing experience but more of a LOVE for the product and a strong desire to reach a target market. After looking back over that experience, I wanted to share three key things I wish I would have learned about inbound marketing. Remember how your mom used to say, “the early bird gets the worm.” As annoying as my mom got it rang so true. Marketing to me starts the same day you start building your business. At Mint, I was brought on 9 months before the product was live. Can you imagine that? Instead of waiting for a product with no customers, when we finally launched we had over 20,000 people BEGGING to use our product. So you’re wondering what we did, aren’t you? Note: Before we even launched we were larger than all our competitors combined! 1. Added an email collection box on our homepage. This is almost default now but something we just figured would be good to start collecting. The best thing to do for your business is to get emails. It is the EASIEST way to start communicating. Think of it this way. Only .5% may buy on your site but you can get up to 30% of people to get you an email. Stop trying to force them all around your site and instead put them in a funnel where you can educate them properly about your product. 2. Built an excel spreadsheet of the top 25 most influential personal finance bloggers. We then spent the next months developing and tracking building relationships with those people. Think of it like a garden you plant the seeds today to enjoy your delicious fruits in a few months. 3. Created a quant-based marketing approach where you can predict the amount of traffic you are going to get. HubSpot helps you do this! Here’s a sample one from Mint we used. 4. Wrote out our marketing plan. Don’t “hope” that traffic and customers will come. Here’s the marketing plan I did, Mint Marketing plan. 5. Did the HubSpot growth technique. Setup free things like websitegrader.com and use those leads to get new customers. Would you let me borrow $ 100? There’s a great chance you wouldn’t. If we were friends for 10 years and have a relationship than the $ 100 decision might be a no-brainer. Relate this back to your marketing, it should be less about selling and more about creating value for your customer. Educate them. Teach them. Think of it as reciprocity. You give them stuff, it helps them and then over time it makes it a no-brainer for them to trust you and want to give you money. Can you imagine that? They actually feel bad for NOT giving you money after you’ve given so much! So what does that mean for your business? I’ll make it easy and give you ideas we’ve done for AppSumo.com. 1. Free Action Videos for startups. Copywriting for Startups, How to Actually use Google Analytics and more. 2. Free Webinars. Hubspot is very good at this. Train them in real-time, answer questions and share with them things that will help THEIR business, not yours. 3. PDFs and how-to-guides. Top 10 ways to reduce your bounce rate by 30%; 20% increase in revenue a month, etc. Imagine advertising to “come spend money and sign up your business” versus advertising “great educational material” that can help your future customers. The conversion rates on your advertising will speak for itself. I know. Congrats! You followed a few of things I wish I would have known and you now have a 1,000-email list. What now? Now is Nurture and Segment time. At Mint,we waited nearly 9 months to really interact with our users and when we finally launched not all of them remembered who we are. That hurts Noah’s feelings. What should I have done? 1. Provided educational content like I talked about above on an ongoing basis. 2. Review your metrics. If you have some sales, look at what it took to get those sales. What did they read? What did they buy? Where did they come from? Then take that information and setup auto-responders or webinars or other activities to keep your visitors involved until they are customers. 3. Segment them. At Mint, once we had people visit and give an email we offered them a chance to be a VIP. That was our way of segmenting, we made them do more work via surveys and promoting Mint and got early access to the product in return. What could you offer your customers to learn more about them? Also, think about what you can do with that data before you ask. 4. Act like HubSpot. Formerly called CHI (Customer Happiness Index) they now provide benchmark data which should help you segment your customers better. Best use of your time is working with the customers who show you the most promise. HubSpot also does their segmentation on the registration process. Use this custom PowerPoint with stats, terms and ideas of how to pitch inbound marketing. Download the free template and customize it to make your case. Change the way your company does marketing!